Dr. Ernest P. Noble (Professor of Psychiatry & Biobehavioral Sciences, Emeritus) is a biochemist and clinical psychiatrist. 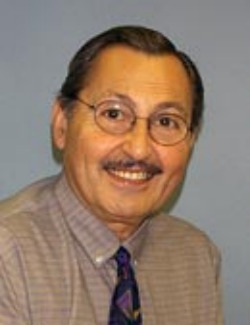 Dr. Noble came to UCLA in 1981 with a distinguished academic and service career. After many years as a faculty member at Stanford University and the University of California at Irvine, Dr. Noble became the Director of the National Institute on Alcohol Abuse and Alcoholism (NIAAA) in Washington, DC (1976-78). After coming to UCLA in 1981, he was appointed the Pike Professor of Alcohol Studies and Director of the UCLA Alcohol Research Center. He received a B.S. degree in Chemistry from the University of California at Berkeley, a Ph.D. in biochemistry from Oregon State University, completed a postdoctoral fellowship and an M.D.degree at Case Western Reserve University, followed by medical internship and psychiatric residency training at Stanford University. He performed research as a Fulbright Scholar at the Sorbonne in Paris, France, as a Guggenheim Fellow at the Centre de Neurochimie in Strasbourg, France, and as a Senior Fulbright Scholar at the Max-Planck Institute for Psychiatry in Munich, Germany. Dr. Noble has over 400 scientific and medical publications and is a member of numerous editorial boards and scientific and professional societies, and has received many honors for his achievements.